Bariquins mannequins are made up of 15 weighted sections plus a jacket, head, hands and feet. The heaviest section weighs just 16kg (that's less than your flight suitcase). A Bariquin can be carried by one person (when not assembled) and takes less than 10 minutes to put together. As it says above, this year Disabled Living are celebrating their 120th year as a registered charity. As an organisation, Disabled Living has been involved in training healthcare professionals since the 1950’s. Disabled Living has an excellent reputation for the quality of the training services they provide and it is this reputation that makes them a great partner for Bariquins. 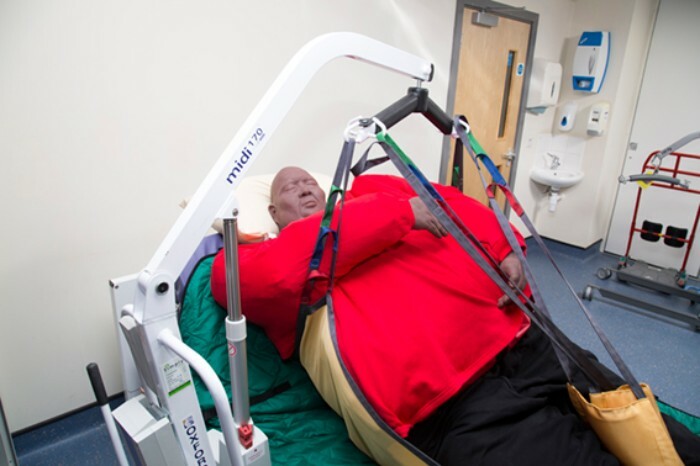 Currently, the contents of a course on the moving and handling of the plus-size patient are being worked on. We're also looking at the course receiving CPD Accreditation too. When the details of the course have been finalised, we will publish them in one of our future newsletters. 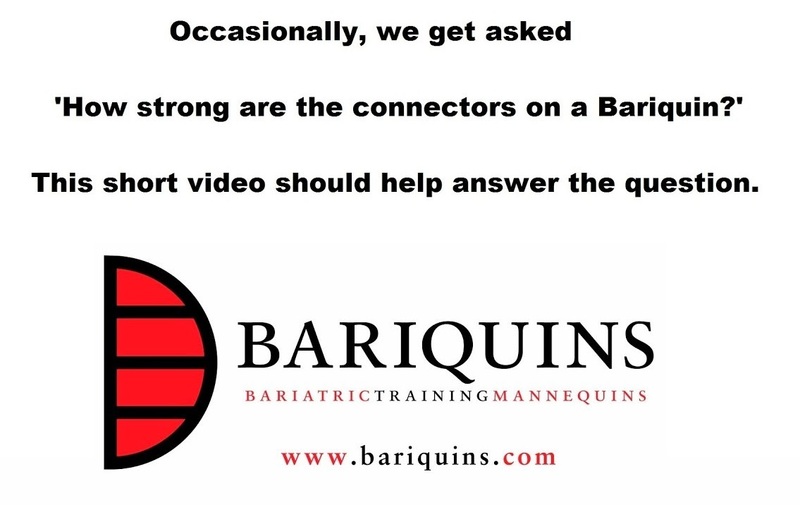 Now and again, here at Bariquins, we get asked 'How strong are the connectors on a Bariquin mannequin? It makes sense really. You don't want a mannequin made from tough, durable material to be let down by fragile connectors. In the past, we have had to make do with quoting from the data sheet supplied by the manufacturer of the connectors. Unless you know your physics and what the force measured in Newtons is equivalent to (me neither), it's no great help. To answer this, with the help of our suppliers Openhouse Products who make the mannequin carcasses exclusively for Bariquins, we have produced the following minute long video. It features the connectors, a 2.5 Tonne Toyota Hilux with air-filled tyres and a 2.5 Tonne Forklift with solid tyres. To view the video, click on the image below. I make no apologies for mentioning the Emergency Services Show again. You should recall that it's on at the NEC, Birmingham, UK. It's a two-day exhibition on from 20th-21st September this year. I gave a more in-depth view of it last month. If you missed that, go to our website www.bariquins.com/ and read July's newsletter. I will remind you that this year, Bariquins is at Stand P37 directly facing the area in Hall 5 where West Midlands Fire Service exhibit their vehicles. Barry and Benny will be on our stand and shouldn't be too hard to spot. Come along and meet them both. Here's the link to the Bariquins exhibition profile. Get in touch if you want to ask a question or arrange to meet us there. Don't forget that entry to the show and parking are FREE. If you want to keep up with the news, follow the exhibition on Twitter at @emergencyukshow or #ESS2017.